The next best thing to actually being at Paris Fashion Week is getting to live vicariously through the ultimate style stars. 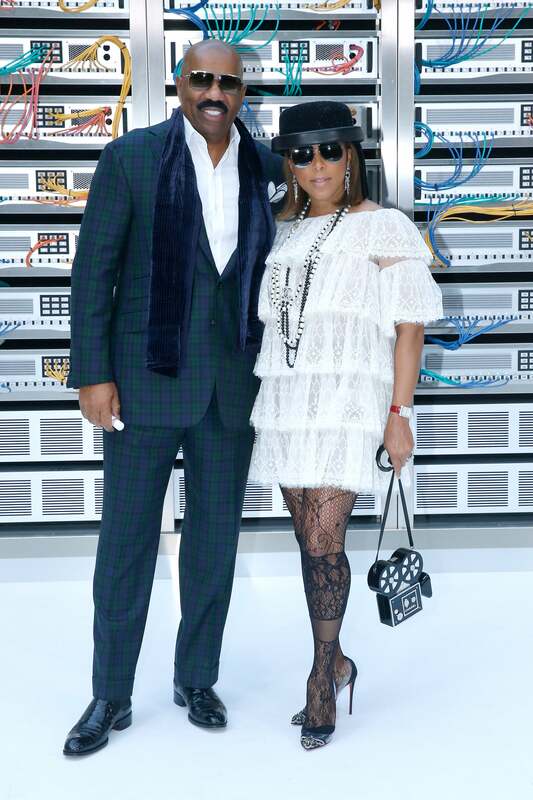 From Marjorie and Steve Harvey making their usual rounds to see all the best shows, to Rihanna serving at her latest FENTY x PUMA collection, these are the chic fashion week moments served up by your fave trendsetting celebs. Maria Borges seen leaving Chanel SS2017 Women show in Paris during Fashion Week. Shiona Turini and Marjorie Harvey attend the Valentino show as part of the Paris Fashion Week Womenswear Spring/Summer 2017. 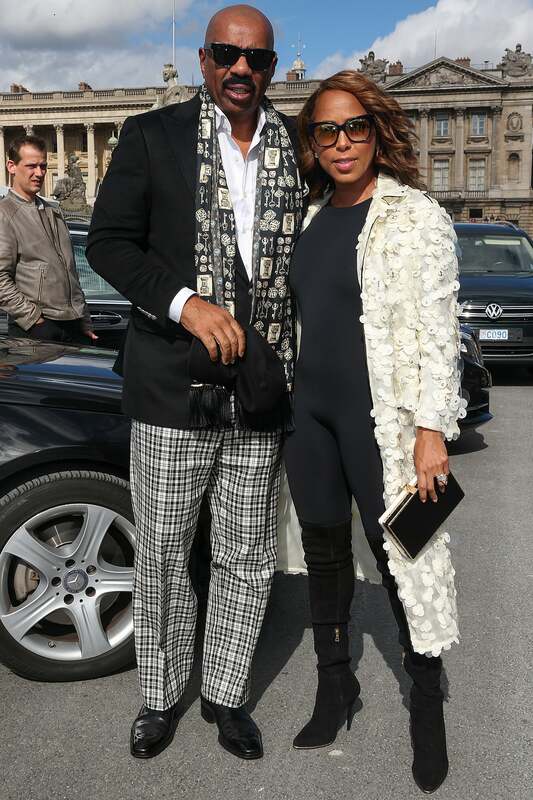 Marjorie Harvey arrives at the Giambattista Valli show as part of the Paris Fashion Week Womenswear Spring/Summer 2017. 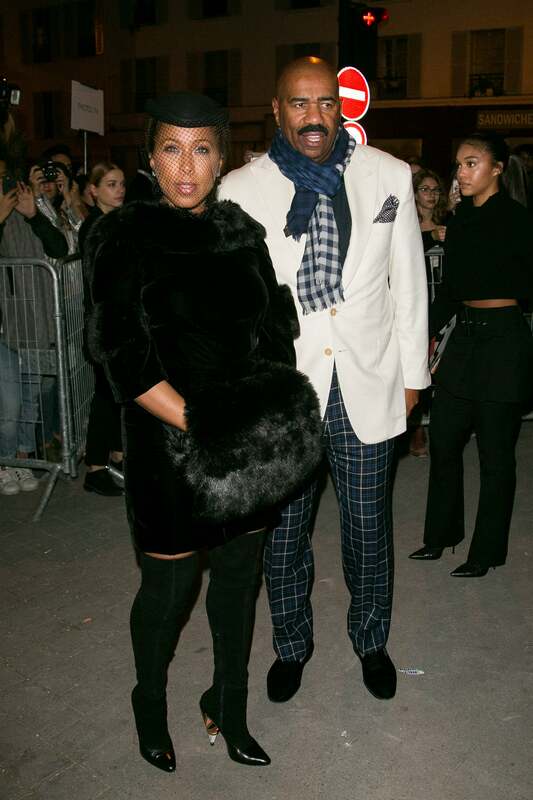 Marjorie and Steve Harvey attenda the Elie Saab show as part of the Paris Fashion Week Womenswear Spring/Summer 2017. Jasmine Sanders attends the Gold Obsession Party for L'Oreal Paris during Paris Fashion Week Womenswear Spring/Summer 2017. Terrence J, Jasmine Sanders, and guests attend the L'Oreal Paris Gold Obsession Party in Paris, France. Cindy Bruna attends the Gold Obsession Party during Paris Fashion Week Womenswear Spring/Summer 2017. 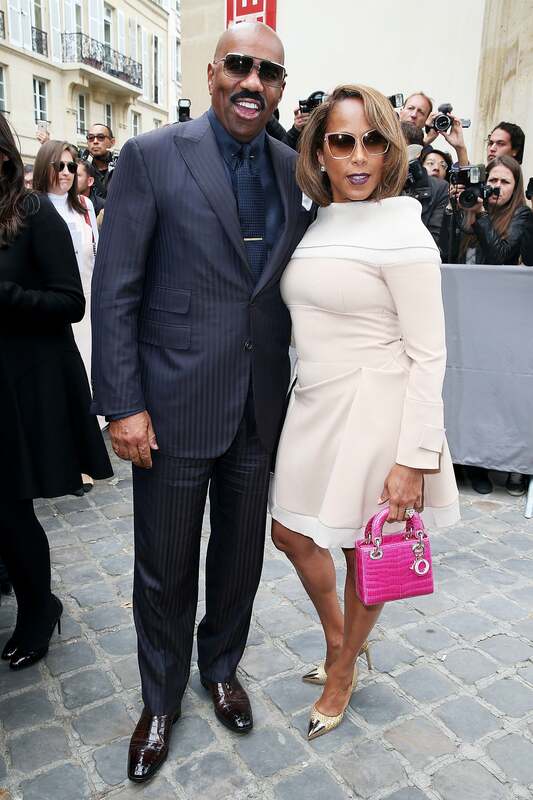 Marjorie and Steve Harvey arrive to attend the 'GIVENCHY' fashion show during Paris Fashion Week. Liya Kebede attends the Haider Ackermann show as part of the Paris Fashion Week Womenswear Spring/Summer 2017. Rihanna is pretty in pink while backstage during her FENTY x PUMA by Rihanna show at Hotel Salomon de Rothschild in Paris, France. Jourdan Dunn slays at the FENTY x PUMA by Rihanna show at Hotel Salomon de Rothschild in Paris, France. Jourdan Dunn and fellow model Karlie Kloss pal around at the Fenty Puma After Party during Paris Fashion Week. 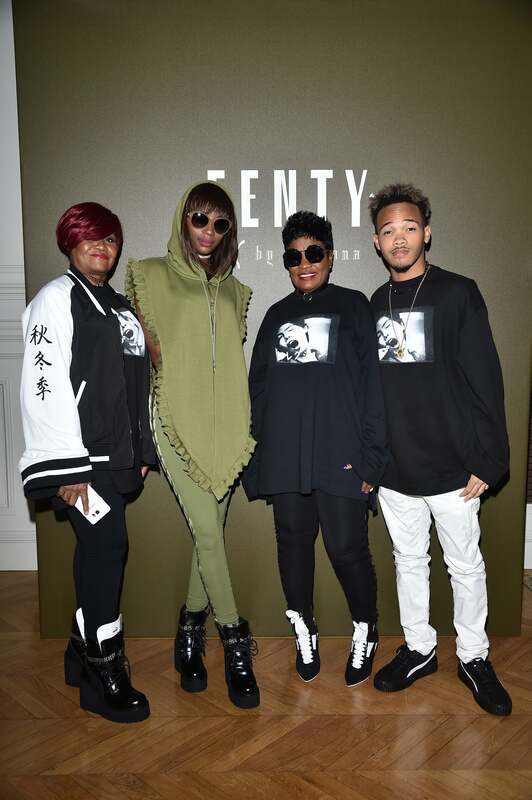 Rihanna's family (Monica Fenty, Tanella Alleyne, Marcel Alstrom and Rajad Fenty) come out to support at FENTY x PUMA by Rihanna at Hotel Salomon de Rothschild in Paris, France. Rihanna made an elegant statement at the Christian Dior Spring Summer 2017 Show during Paris Fashion Week. Cindy Bruna strikes a pose at the Balmain after show party during Paris Fashion Week Spring/Summer 2017. 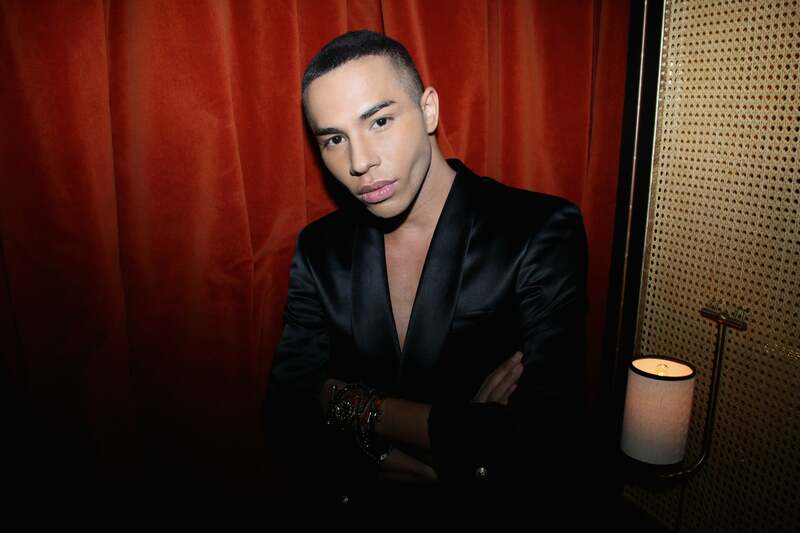 Designer Olivier Rousteing poses during the after party for his Balmain collection during Paris Fashion Week Spring/Summer 2017. Model Maria Borges shows of her amazing legs at the Balmain aftershow party during Paris Fashion Wek Spring/Summer 2017. Grace Bol brightens up the room at the Balmain After Show Party during Paris Fashion Week Spring/Summer 2017. Lais Ribero stuns at the Balmain aftershow party during Paris Fashion Week Spring/Summer 2017. 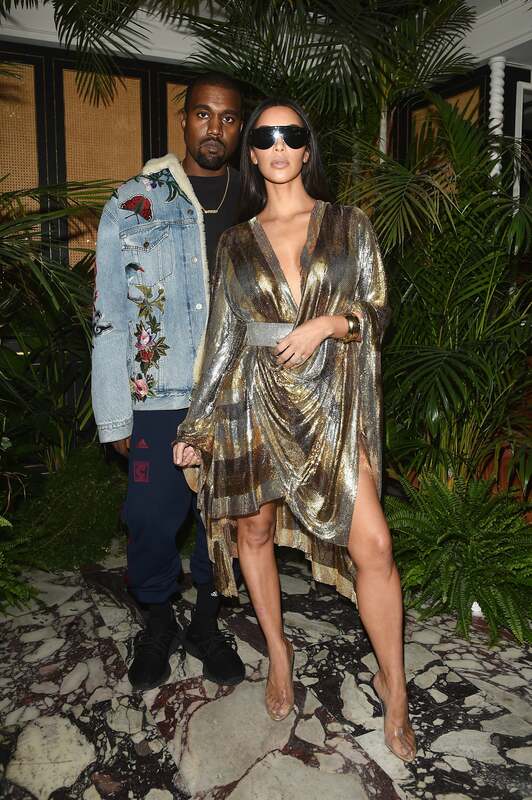 Kanye West and Kim Kardashian pose for the cameras at the Balmain aftershow party during Paris Fashion Week Spring/Summer 2017. 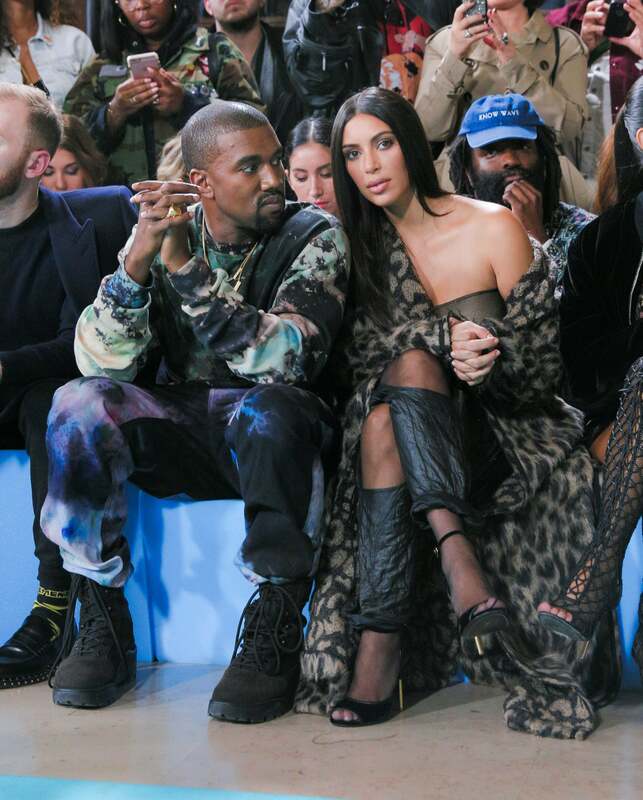 Kanye West and Kim Kardashian take in the designs at the Off-White Spring/Summer 2017 Show during Paris Fashion Week.